Situated in Port Pirie, this hotel is steps from Ellen Street and Port Pirie National Trust Museum. Northern Festival Centre and Port Pirie Regional Art Gallery are also within 10 minutes. 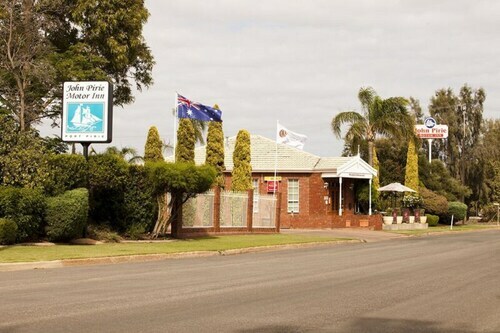 Situated in Port Pirie, this golf motel is within a 5-minute walk of Port Pirie Memorial Oval, Northern Festival Centre, and Ellen Street. Port Pirie Regional Art Gallery and Port Pirie National Trust Museum are also within 15 minutes. 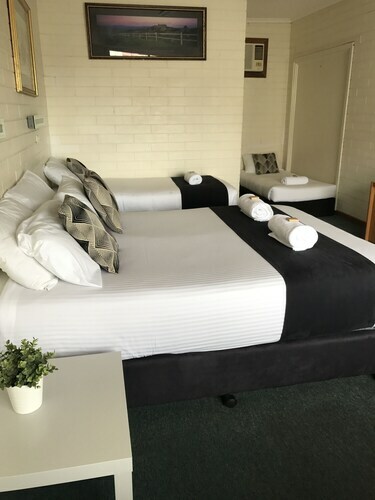 Situated in Port Pirie, this motel is within a 10-minute walk of Northern Festival Centre, Ellen Street, and Port Pirie National Trust Museum. Port Pirie Memorial Oval and Port Pirie Regional Art Gallery are also within 15 minutes. 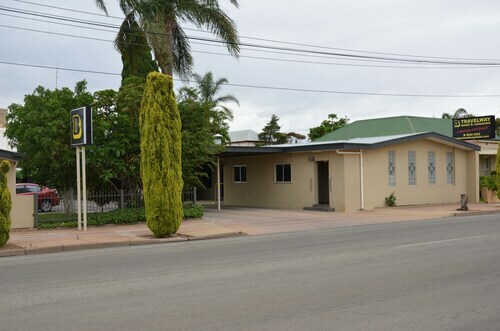 Situated near the airport, this motel is within 1 mi (2 km) of Ellen Street and Port Pirie Regional Art Gallery. Port Pirie National Trust Museum and Northern Festival Centre are also within 2 mi (3 km). Considering a few nights away in Port Pirie? There are only 3 available hotels within 5 kilometres of the city centre. You won't be far from the main streets at the John Pirie Motor Inn and Travelway Motel. If you're an art aficionado, you won't regret a few hours at Port Pirie Regional Art Gallery. 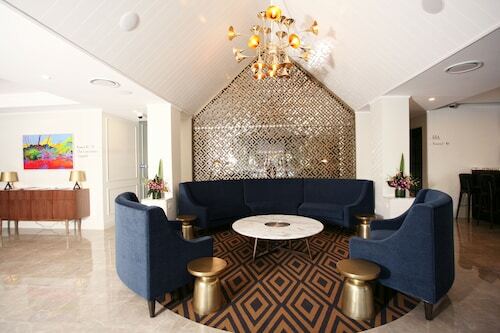 If you're considering getting a place near this hotspot, look into Flinders Motel on Main. It's the only available hotel here, so you better make haste! If you're okay with staying 19 kilometres from the city's core, check out the Taralee Orchards. The greater South Australian Outback - Flinders Ranges area is certainly worth seeing too. South Australian Outback - Flinders Ranges has mountains and desert landscapes, along with common South Australian Outback - Flinders Ranges tourist destinations like the art galleries. Visitors in this region of Australia often enjoy mountain biking, hiking and four-wheel driving. The close by localities of Port Augusta and Quorn are certainly worth seeing. Port Augusta is 80 kilometres to the north of Port Pirie, while Quorn is 90 kilometres to the north. Accommodations in Port Augusta are the Majestic Oasis Apartments and Comfort Inn & Suites Augusta Westside. Quorn choices are the Flinders Ranges Motel and Endilloe Lodge B&b Holiday House. If you are transiting into or out of Whyalla Airport and plan to stay nearby, try the Best Western Alexander Motel Whyalla or the Airport Whyalla Motel. How Much is a Hotel Room in Port Pirie? 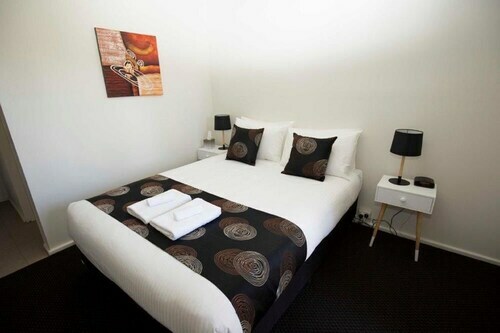 Hotels in Port Pirie start at AU$90 per night. Prices and availability subject to change. Additional terms may apply.